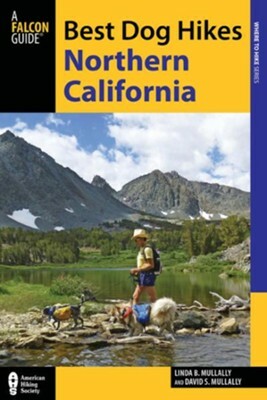 This guidebook reveals the 51 best hiking trails in northern California that are dog friendly. Throughout are full-color maps and photos, helpful tips and sidebars, and tailored hike specs for leash requirements. Also included is information about dog packing and preparation before you hit the trail. The area covers northern California to the Oregon border, with the southernmost part including Big Sur and east across to Bishop, CA. Linda Mullally is a freelance writer and was the first travel columnist for Dog Fancy magazine, sharing information about dog-friendly getaways domestically and abroad while giving readers safety tips and promoting responsible dog ownership. Her husband, David Mullally, is an attorney and a professional photographer. I'm the author/artist and I want to review Best Dog Hikes Northern California.